As diverse organizations seek to implement data-driven strategies, the personal computer in all its varieties remains the key workforce productivity tool. IT leaders must guide PC management across the entire PC lifecycle to enable users to work most effectively. 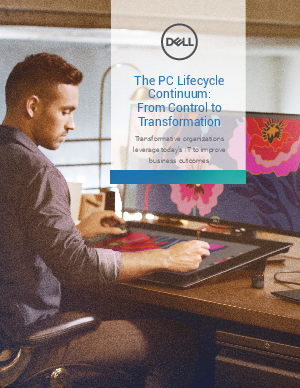 Today, IT leaders address the PC lifecycle across a continuum from control to transformation. Control is geared to optimization, while transformation focuses on the business impact of technology.